A Story of a "Vegetarian Since Birth" & Who has a passion for all animals.. Myths about Vegetarians..
Do you believe the above statement? For most of them who are vegetarian, especially in the west, often get bullied or have been bullied at some point of time by their friends or cousins for not eating meat and being a sissy. However in India, especially Mumbai its very different. Will come to that part later. Since a decade, iv been living and travelling abroad to different countries, from the south east Asia (Thailand where i lived/travelled for two years) to my recent visits to USA and Mexico, i came across few Vegans/Vegetarians and people who get a shock that how am I a born vegetarian. Here is why I was "A Born Vegetarian"
Ahimsa not only means Non-violence, it also means to commit the lowest amount of sins as possible. Do not cause harm to any living beings. This is the reason why jains are born Vegetarian and never believed in revenge. According to science and Jain Tirthankaras, Every part of earth is living and we are a part of cosmos. Every being that shows emotions and have 5 senses, like animals, insects and humans, have different levels of sins depending upon size and senses, and should never be harmed. For example: killing an insect will be less sinful then killing a cow. Killing a plant for eating will be far less sinful then killing an insect. But a sin will always be committed be it for food or by mistake. Its obvious that killing anything intentionally will always be much more sinful then killing by mistake, be it pleasure, fun or food. Another aspect is that humans cannot eat raw meat and stay healthy for long, which again proves that uncooked meat is not good for humans and is scientifically proven. 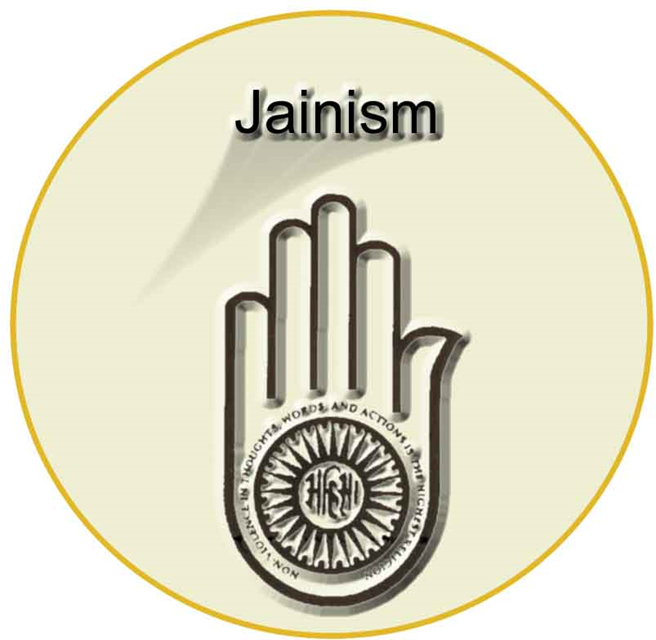 The first posts i made on steemit were regarding "JAINISM: A religion based on Science, Commonsense & Nonviolence", here is Part 1 & Part2. Here i have explained it in detail. In India, almost 25-30% of the population is vegetarian. This a big reason, that in India its not strange to be a born vegetarian. I was born and raised in the city of Mumbai, where my schooling was done, and fortunately 90% of the students were vegetarian. I was never ok with chicken, but i have eaten cakes made using eggs, and i still eat, if im travelling, but meat is one thing iv never tasted nor will. There are more than 1000 different types of vegetarian dishes, which are healthy and super tasty. In fact iv come across many foreigners who love Indian Vegetarian food. Most of them have no idea, that there are so many vegetarian dishes that are so tasty. India has the highest number of vegetarians, then any other country. 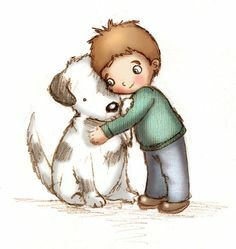 I have loved dogs my entier life, and some of my non vegetarian friends had dogs, so i would ask them why you can eat a goat or a chicken, but not a dog. I would get an answer that goats do not have emotions and its our right given to us by god for eating it. Sounded wierd back then too, but stll wanted to try it.. Being born in a "Joint Family" I stayed with my uncles and aunts and cousins. One of my uncle was an animal lover just like me, so i decided to approach him and tell him about this. My dad was too strict, never had the guts to talk to him about this, that i want to taste a chicken, and why cannot we have it, as my friends told me that they have been approved by their god to be eaten. He smiled and told me "OK" lets go, ill let you have it, but before that, we will meet those animals whom you want to eat. He took me to "Panjrapol" (A Gujarati word for animal shelter), where they had cows, goats, chicks, hens, birds, etc. He started offering them food, to gain trust, then after a while started playing with them, and made me do the same, we were planning to spend like 30-60 minutes there, then he would take me to the place where i can eat them. I didnot know how time passed by, and it had been 3 hours spending time there. I enjoyed with all the animals there. Later he asked me, so you want to eat them? i said not them, but the ones that are dead, and i asked him "Dont they serve dead ones?" he smiled again, and told me, "ok! lets go". He took me to a butcher shop, to buy some, and he actually asked the price in front of me. It was horrifying when i saw the animals that i just played with a while back, their own types were about to get killed right in front of me, and i saw one get killed. There were tears in my eyes, and i told my uncle to leave immediately from there. On my way back, my uncle told me, that every being on the planet has emotions, including the plants we eat. Anything that has an ability to give birth and grow, has feelings and emotions. For this reason we pray to god for well being of everyone on the planet and say sorry for killing a plant in order to eat to live. Humans have an option of staying completely healthy eating only plants, but in some places they don't have that options, so it doesn't mean that we are not committing any sin and they are. It all depends upon situations. In olden times, many places like deserts did not have much of plants, and the humans had no options but to eat animals that live in those harsh places. So when we have an option of committing the lowest possible sin of eating plants, why kill animals? Also, pants like trees have a natural ability to provide us with fruits, whithout killing the entire tree. Fruits are one thing that plants that trees themselves drop them in order to let it be eaten/rot for 2 reasons, one wif no one eats them, they rot creating fertilizer for the tree and the seeds left, will grow into a new tree.. This is the science of nature and is what the nature has provided us to eat. All this made a lot of sense to me, and being a dog and cat lover at that time, i started noticing more smaller animals like frogs, earthworms, ants, butterflies, etc. and my approach towards them changed completely. I started respecting all lives, be it animals or plants. Since i was not allowed to pet dogs and cats at home, i started keeping fish tanks few years ago, I also started my own YouTube channel and recently have got more serious with my channel, which is more based on educational stuff about the hobby. Two years ago, i joined a Local Stray shelter named Welfare of Stray Dogs in my city Mumbai, where i work on weekends. Its been addictive and fun. My love for animals always grew with my age. My future plans are to open my own stray shelter, so i can devote 100% of my time to animals, and live my passion and dream. This video will explain you everything about how you got fooled into eating non-veg. Bill Pearl is an American retired professional bodybuilder born in 1930 and athlete. During the 1950s and '60s, he won many titles and awards, including winning the Mr. Universe contest five times, and was named "World’s Best-Built Man of the Century." 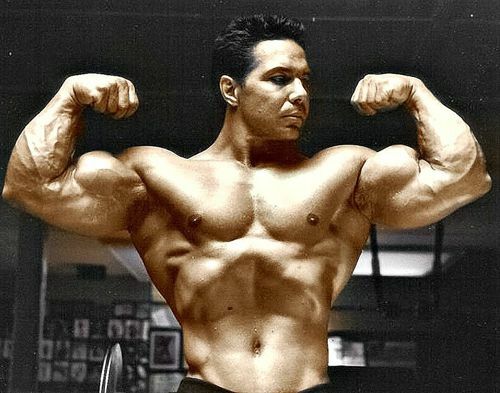 He became an expert trainer and author on bodybuilding. At that time, he was a Non- Vegetarian. Later he won the 1971 Mr. Universe after he became a vegetarian/eggetarian, and continues to be one today. Amandeep Singh aka. "The steel man of India" Is a pure vegetarian. Amandeep Singh was born in a small town Ismailabad in Kurukshetra, Haryana, India and is known as the steel man of India. He has got many recognitions for his extraordinary tasks around the world. He aims at breaking 50 separate records and become the world's strongest man. Stunts like taking a sledgehammer to his private parts and letting a car run over his stomach. The videos below will give a better information on his diet and how tough he really is.. I guess This exposes the myth, that vegetarians are sissies and are not strong enough. Infact many who have converted to a vegetarian have often said that "We feel much more lighter and energetic." Each day, I eat garlic, nuts. I have a garden of plants. I love to eat fruit. I love to eat beans. Many people lack enough nuts in their diet. People eat too much meat and not enough of the other things. Especially nuts which is good for the brain so much. I think better and faster when I eat nuts. So, what does non-absolutism mean? Does that mean no absolutes? My question is about about the third principle of Jainism, and you might be dodging my question as to say that maybe my question is not really a question and that is too bad for you to dodge, assuming you are dodging as an alleged non-violent person that has to maybe avoid conflict as some Asians do for example. I want to know what you think about Non-Absolutism as that principle is in conflict with the other principles there. You can see the paradox and you should talk about that paradox. Having multiple faces of the same reality is called Anekantvad, here we see from the neutral prospective as what is correct and what is wrong considering all the factors. As per jainism, at each stage and situation of life, the right deed as per you is different from right deed for someone else. Just understanding from one point of view, narrows down our thinking. For example, while eating we always think as we are hungry but we never take a step further to think what will happen to the lives of animals and plants we are killing so easily ? What pain will they feel in their heart? Can we try to minimize their agony? In fact, we just ignore that. Anekantvad says think beyond, think beyond selfishness. If you start thinking today, tomorrow you might find solution which is beneficial to opposite party as well. Let's take an example of relationship. One girl is - daughter for father,same girl is sister for brother and wife for husband. In other words, you believe in relativity, as in subjectivity, which is spread around the world through progressive, leftist, democrats, and by others too. There are different names and titles found in the world and throughout history in different religions and cultures and cults that describes what you are detailing above. It is the Fifty Shades of Reality Myth. Grew up on a dairy farm in southern Illinois. It is one of the 50 states in the USA. This is a really well written post. I just have to ask to clarify so I have the full context. You are vegetarian not vegan? So you eat eggs and dairy? I've always wondered why it is that in India where the cow is supposed to be holy people still use them for milk? That is to me worse than just breeding them for meat considering what they have to go through in their short life. Would love to get your view in this. Id say im eggitarian.. Iv been into fittness since 16years of age. I did try going vegan, but im alergic to soy. I like to travel, so many times i have no choice but to eat bread or cakes or chocolates, that has eggs only when i travel. As for cows in india, yes its a major issue across the world, the dairy industry is sick. Well there are some local dairies, that still use old hand methods, and they first let the calf drink the milk, then they remove it for us. These dairies are controlled by "Jains", basically its sold as "Jain Milk", the money earned goes into taking care of the infra, cows and the staff 100%, as its handled by the "Jain Trust" who is not intrested in making money out of it, as its funded by rich jains. Jains in india are one of the richest people in the country, most of them are Diamond Merchants or Gold Traders, etc. However the new government is trying to bring changes, but the milk industry is very powerful, so it will take a while. Ah I see, there is so much else to eat instead of soy to get that protein ;). And I have no idea where you travel and I know that at some locations it's really hard to find vegan food. But happycow have really helped me on my travels to find good vegan food. It sure is a major issue and I'm not sure I would be comfortable drinking milk even if it's marked as Jain milk. To me it's linked to much with health issues as well. But it's great to hear that practices like that does excist. It will come to a change soon as more and more people are waking up to the fact that you don't need to eat anything that comes from animals to stay healthy. Well those who have insane amounts of allergies I understand that it might be hard but as technology develops it will be easier for them too to choose a more friendly alternative. I sure will =) I love to read more about it. Its not marked as Jain Milk, its called Jain Milk. The guy comes personally to give the milk, and one can visit the dairy anytime of the day unlike other industrial dairies. Also donate. yup.. these places are called "Panjrapol" in Gujarati (one of the languages in India).. Yes slowly India is converting to all non GMO food. technologies like aquaponis/hydroponics are also being used by some of them, calling is soil-less farming.. My sisters boyfriend has started a soil-less strawberry farm 2 years ago, doing great..